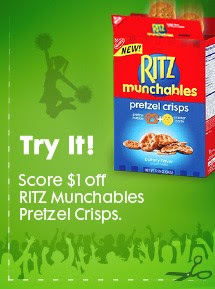 Become a fan of Ritz Crackers on Facebook for a $1.00/1 coupon for Ritz Munchables Pretzel Crisps! Just click on the Open for Fun tab after you become a fan for yours. Coupons have reached max. print limit and are no longer available. Many Walgreens across the country have Sally Hershberger Shampoos & Conditioners (originally $9 - $12) on clearance for $2.39! Use the $2.00 off coupon on RedPlum (zip code: 30622) to make these $0.39! Keep in mind that prices may vary by location and not all Walgreens will have this as a clearance item but it is definitely worth checking out! 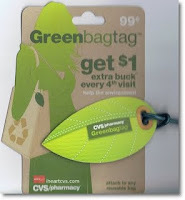 For more values check out the Walgreens Coupon Match Up! Thanks Couponers United for the deal and the picture! 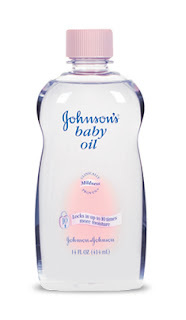 Johnsons & Johnsons has a new coupon for $1.00 off of Baby Oil! Since this coupon does not have a size limit you can purchase the trial size version for free at many stores. Become a fan of Physicians Formula for a Buy 1 Get 1 Free Coupon (up to $19.99)! All you need to do is click on the 'register now' button after becoming a fan. I had to click on this twice before the registration form appeared. After registering you will receive your coupon via e-mail. 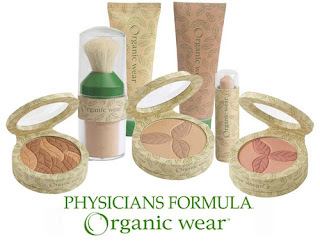 Physicians Formula goes on sale quite frequently B1G1 Free so hang on to this coupon for a sale or just in case you find one of there products with a 'Try me Free" peelie on it! While you're there, become a fan of West Michigan Mommy! See all printable coupons HERE , HERE & HERE. Plastic Jungle - Sell gift card(s) for CASH! Buy at discounted prices! Do you have a gift card that you're likely never to use? Would you like to trade it for cash or an Amazon.com credit to use to buy something you really want or need? Check out Plastic Jungle - the online gift card marketplace for buying discounted gift cards or selling unused, unwanted gift cards. As the premier destination to sell, buy, exchange, and donate gift cards in a trusted environment, Plastic Jungle offers the simplest and safest way to save money at your favorite stores and turn unwanted gift cards into cash. All transactions are guaranteed, and they offer industry-leading features such as gift card replacement protection in case they are lost or damaged. Gift cards on Plastic Jungle can be purchased at a discount, which means you can save up to 35% off your next shopping trip. And they offer FREE SHIPPING when you buy! The Grand Rapids Children's Museum along with Target is offering FREE ADMISSION TODAY Sunday March 7th from Noon-5 p.m. I am assuming it will be pretty busy but since the forecast is calling for some rain, it would be a good day to stay inside! For more information go HERE or call (616) 235-4726. 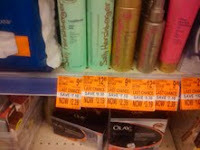 Loving Rite Aid's B1G1 Cover Girl Cosmetic Sale this week! I got everything in the above picture for just $2.39 (tax) after coupons! The B1G1 Free Cover Girl Cosmetic Coupon was in the 2/7 P&G insert. Combine with the B1G1 Free sale at Rite Aid and only pay tax! Don't have that coupon? Order it from My Coupon Hunter! (03/07 P&G) Get Old Spice Odor Blocker Body Wash Free wyb Fresh Collection deo. (03/07 P&G) Get Old Spice deodorant wyb Fresh Collection deo. (02/07 P&G) Get Gillette body wash wyb gillette deo. More Printable Coupons, here and here.Don't miss out Print your Coupons now! Final Price, $4.95 for everything!! Final Price, Free + a $4 moneymaker! *Let us know if you come up with any great deals scenarios in the comments section. Thanks to Common Sense w/ Money for this weeks deals!